A microwave is a staple part of any kitchen environment and it’s super important that it is able to meet the demands of your household. Our high performance range of Kenwood microwaves will allow you to prepare the dishes that you love the most in optimum time, with minimum hassle. After all, with the demands of everyday life often pulling you in all manner of different directions, it’s important that your microwave is able to keep up pace with your family life and cooking demands. 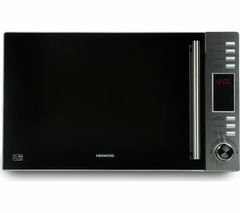 Available in a variety of different colours, capabilities and designs, our Kenwood microwave collection boast a huge selection of models including the Kenwood K23SM17 Solo Microwave – Silver, the Kenwood K25MB14 Solo Microwave – Black and the Kenwood K30CSS14 Combination Microwave - Stainless Steel. Allowing you to heat, reheat and defrost a range of meals in no time at all, our Kenwood microwaves are a versatile cooking solution that is quick, easy and hassle free. 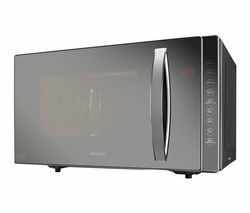 And the vast majority of our Kenwood microwaves come complete with a range of microwave safe accessories, so whether you’re cooking steam rice and vegetables for dinner, or you’re warming up your favourite soup on a cold day, you can rest assured that you can create your ‘go to’ meals with no hassle. But that’s not all. All Kenwood microwaves are sleek, stylish and aesthetically pleasing, meaning that they are perfectly equipped to complement and enhance both traditional and contemporary décor with effortless ease. Stylish and convenient cooking at your fingertips. Of course, if a Kenwood microwave doesn’t take your fancy, don’t worry. We provide lots of other microwave solutions from some of the industry’s leading names including plenty of Panasonic microwaves and combination microwaves.